Designed by Javier Arana, Rio Real was first opened in 1965 and is a fantastic 18-hole par 72 course, set in a beautiful sloping valley with challenging greens and forgiving fairways. Owned by the Rio Real Hotel Resort, it has its own country club and Golf learning academy. 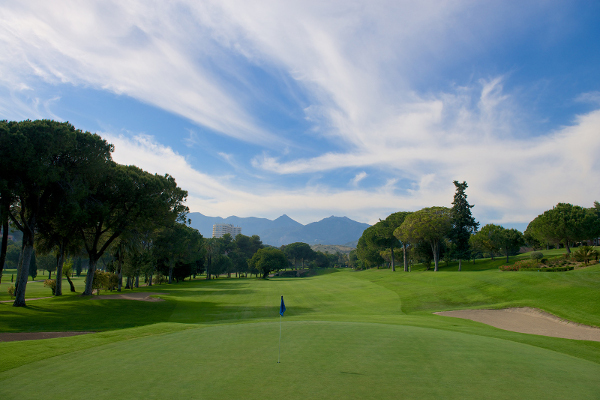 Rio Real is considered is considered by many to be one of the best Golf courses in Marbella. Let’s go. Relax and only think about the wonderful day of golf you are going to enjoy but don’t forget that first you have to beat the river in front of you. It is called Río Real and gives its name to the course. You will remember it well during the first holes and later in the club house, depending on how many balls you lose in it. Play straight down the fairway. Remember the name of the river – not the name of the ball you might put in it! Play your second shot with confidence over the right bunker and if you land on the green you could have your first birdie!! That river again, by now familiar. You can beat it by playing long to the end of the green. Don’t play short. Think about the strength and direction of the wind. Hit hard there is no water to worry about, only the sea which is on the other side of the green! If you can reach the green in 2 you can boast about it to your friends. Watch out for the sea breeze. Caramba! That river again on the right and wind is Levante (blowing from the left). If you manage to land the ball on the fairway, on your 2nd shot don´t be intimidated by the hill hiding the green. Be brave and don’t forget where this course got its name. Out of bounds on the right and that river again on the left. With the correct club the ball should reach the green, if not you will have to practice your skill to get it out of one of the bunkers which surround it. First par 5 and uphill. 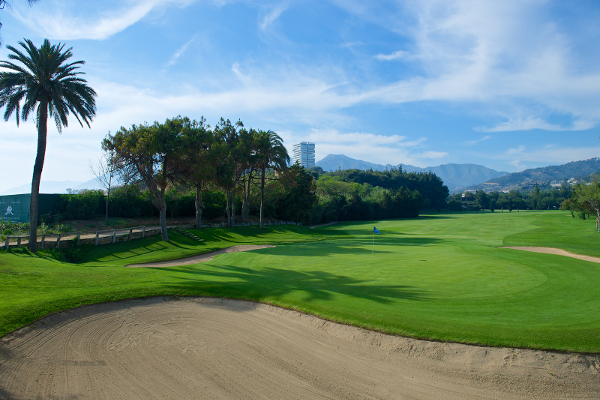 Don´t be put off by the great view of the course from the tee. Hit your first two shots as hard as you can. On the 3rd watch out for the bunker on the left, it is there to punish the overconfident player as is its innocent looking green! Remember the technical description of this hole. 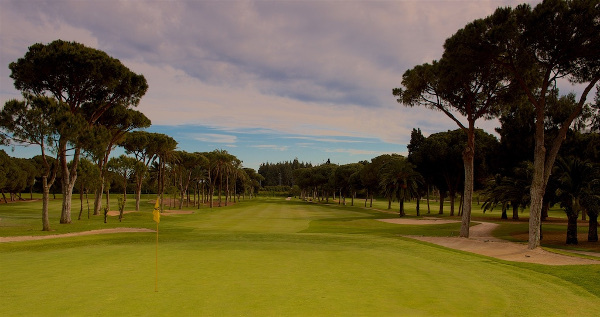 Stay left, if you don´t want to be hunting for your ball on the 9th fairway or in the pine trees which separate them. Your card will be grateful!! If you are following this, you should have a great score! So play this hole as though they are announcing your approach to the spectators and putt for that birdie. Don´t disappoint them! Don´t worry if you don´t reach the curve of the fairway with your 1st shot. Nobody is perfect! Chose your 2nd shot to the green, if you play short you will find it much easier. If you decide to go for it – over the pines and hill – hold your breath until you hear ¡pasó, pasó! from your fellow players. Then you can breath again! Watch the majestic flight of your ball. Fly with it and enjoy the magic moment when it lands in the middle of the fairway. Put it on the green and show off with another birdie. You will play this hole forgetting the magic of the previous one, it is not Río Real in front of you but there is water! This is the longest and most spectacular hole of the course. Try to reach the green with 3 strokes. Aim for the olive tree on the right which partially hides the tee. If you close your club, the ball will land at the feet of the players on the 15th tee. If you do so don´t forget to shout Four. A bad shot is no excuse for forgetting the rules of play in this gentlemen’s game. See the bunker on the right and the pine trees of the left-hand dog leg. Do you want to try your luck with course? Yes? Then play over the trees and if you make it your prize will be there when you reach the green. The last par 5 of the course. Go for it. With your first shot, avoid the dog leg on the right. 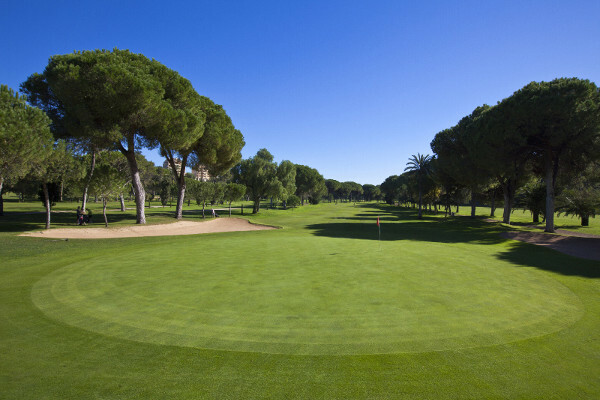 After that don´t make life difficult for yourself until you reach the green! Then you will be able to proudly comment how well you played this hole of handicap 1 when you read your cards. Can you see the flag at the end of the fairway? Can you see any reason why you shouldn’t reach the green with 2 shots? So do it. Play the hole with confidence. You have reached the end. If it has not gone as you hoped, then finish well with this hole. 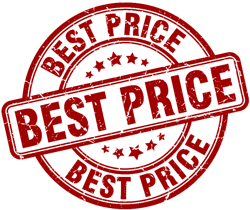 If you can’t, tomorrow is another day and if you have a good score, then don’t spoil it here. Anyway there is always the 19th hole waiting at the Club House, where with a good glass of beer you can continue discussing your good and bad luck during the days golf at Río Real.